Pokemon: Let’s Go Pikachu and Eevee are being review-bombed because people can’t comprehend when they’re not the target market for a product. 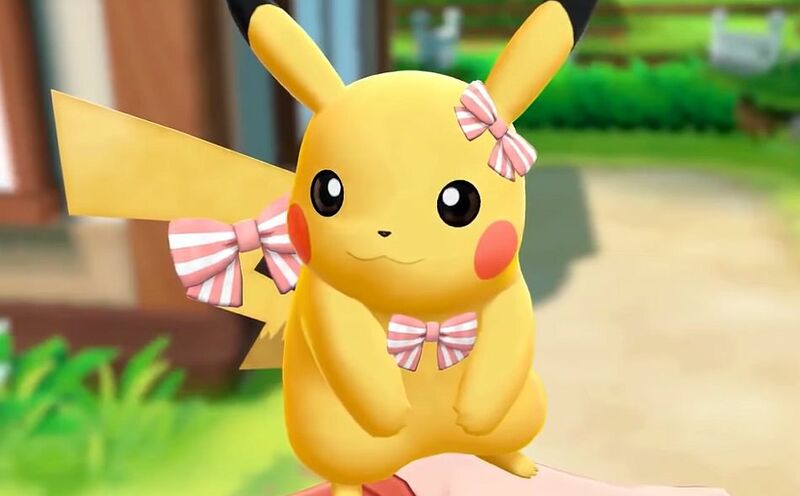 Disgruntled gamers are review-bombing Pokemon: Let’s Go Pikachu and Eevee, critiquing the games on points that were covered and made clear well in advance of the release. Pokemon Let’s Go Pikachu and Eevee were announced earlier this year alongside two other Pokemon games; Pokemon Quest, a free-to-play mobile and Switch title which has done quite well for itself, and a traditional Pokemon RPG, slated for a 2019 release. Nintendo has referred to the 2019 title as a core Pokemon RPG a number of times, while letting players know that the Let’s Go titles are a re-imagining of Pokemon Yellow that don’t shy away from their connection to the Pokemon Go app, gimmicky Poke Ball and all. It seems that wasn’t clear enough, and even though the games have garnered some solid reviews from critics, their Metacritic user scores are being skewed to the extreme by players who – for the most part – seem to be upset that the titles aren’t next year’s core RPG. Both titles are sitting at 81 with critic reviews, and averaging around 5 based on user reviews with criticisms including the similarity to Pokemon Yellow, the fact that they’re not core Pokemon RPGs, and their similarity to Pokemon Go. There may well be some legitimate gripes in amongst the reviews somewhere, but the majority of them don’t even come close. Fallout 76 – for all of its flaws – experienced a similar wave of negative user reviews when players discovered that they wouldn’t be able to play it on Steam. In this case, the critic reviews haven’t been too kind to it either, and you can check out the scores in our review round-up. The take away from this is do a little research before dropping any money on anything, because it might just not be for you.